Mipham Chödrub Gyamtso was born in Tashi Tse in the Tsang region of Central Tibet, as a younger brother of the Sixth Panchen Lama, Lobsang Palden Yeshe of Tashi Lhunpo. Both the Panchen Lamas as well as the Shamarpas are thought to be emanations of Buddha Amitabha. 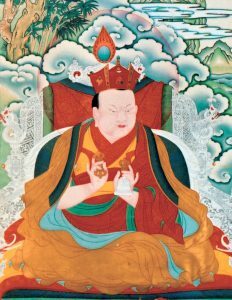 He was recognised and enthroned by the Thirteenth Karmapa and the Eighth Situ Chökyi Jungne. For many years he was placed under the tutelage of Situ Chökyi Jungne as well as Pawo Tsuglag Gawa and Rigdzin Tsewang Norbu and, through their guidance, he developed and blossomed into a great scholar and meditation adept. 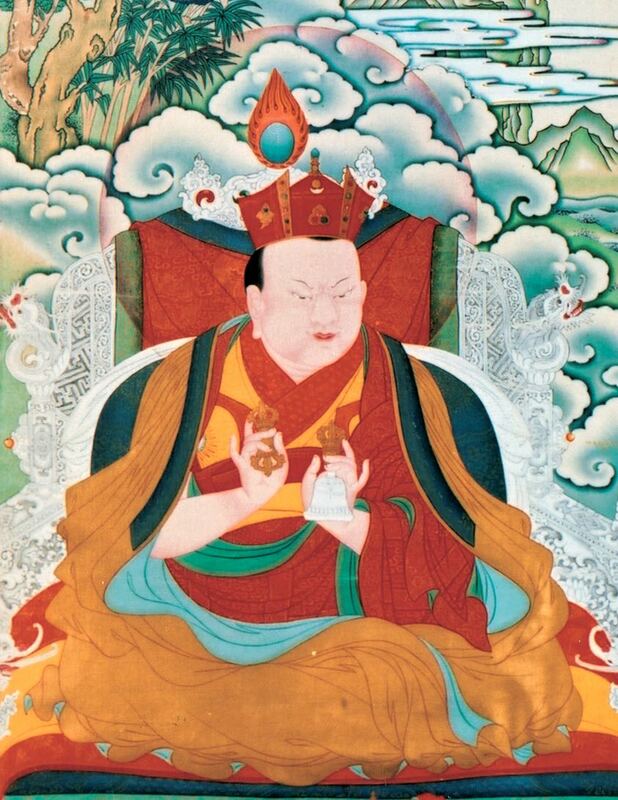 The Tenth Shamarpa, in his turn, passed on many lineage transmissions to the Ninth Tai Situpa, who became the root Lama of the Fourteenth Gyalwa Karmapa. After the Panchen Lama passed away, Shamarpa fled from his homeland amid growing tensions with the Tibetan Government. He settled in Nepal, where he continued to pursue his activities of restoring the Swayambhu Stupa, a renowned pilgrimage site, and benefitting many students. In the meantime, the Tibetan Government seized Yangpachen Monastery, seat of the Shamarpas in Tibet, and forbid an enthronement of future Shamarpas on Tibetan soil. In 1793, the Shamarpa passed away near the Boudhanath Stupa in Nepal. It is said that rainbows appeared in the sky above his cremation mound.